This is your ultimate guide of where to eat in Bangkok. The Thai’s have a love affair with food, and nowhere is this more evident than in the capital. Deciding where to eat in Bangkok or even what to eat in Bangkok is a complex decision. All over this sprawling metropolis you will be faced with the constant temptation of some of the worlds most sublime food. Every Soi is lined with familiar food stalls, and every corner of the city boasts world class eateries for you to sample. If your looking for a quick snack, a cheap lunch or a fine dining experience then the Bangkok food scene has you covered. The foodie scene here really is world class, and every whim is catered for. Every budget and every taste is satisfied. With so many choices then deciding where to eat in Bangkok never gets boring. Let us guide you to the best places to eat in Bangkok. 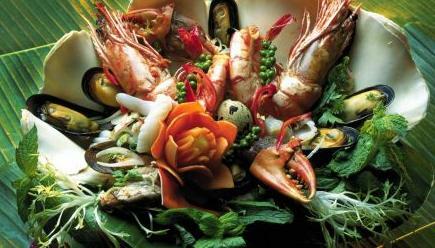 One of the best ways to get to grips with the Thai cuisine is an Food tasting tour. Food stalls adorn every major road and Soi in Bangkok. There are literally thousands of these independently run eateries to choose from. If you never set foot inside a restaurant whilst here in Bangkok you can still enjoy some of the most diverse and wonderful food, just by sitting on the side of the Soi. 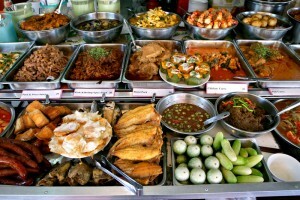 Every culinary whim is catered for by Bangkok’s food stalls. Being at the lower end of the price range means you can try whatever takes your fancy without seriously denting your wallet. Some of the finest Thai food in the city comes from these stalls. The choice on offer is mind boggling. Ever fancied a fried cockroach, crunchy crickets or even deep fried chicken feet? 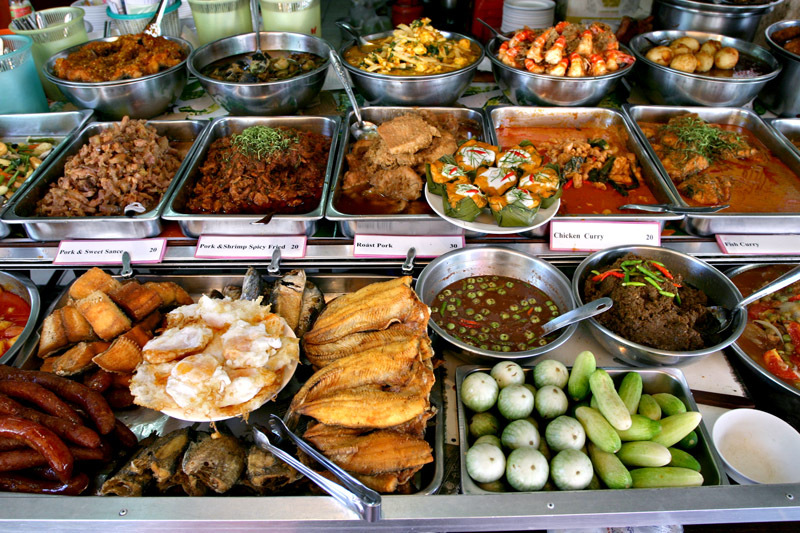 Deciding what to eat from Bangkok’s food stalls is one of life’s experiences you have to have. Don’t be afraid to try new things, and don’t worry that these stalls don’t appear to meet western hygiene standards. Millions of people rely on these food stalls everyday without problems. Our best advise is talk the stall holder who will gladly guide you through what is on offer, and always try and pick a stall the locals are using. Thai food is a very complex cuisine, and if you travel around Thailand you will notice the food varies greatly in every region. What is constant though is Thai dishes are always freshly prepared, using fresh local produce and well balanced spices. One of the great things about Bangkok is that it’s bright lights and promises of riches attract Thai’s from all over the country. This means you can experience the full range of Thai cuisine without ever leaving the city. The range of opportunities to sample the local cuisine is immense, from the food stalls described above to the world class fine dining establishments. If you want to experience the everyday Thai food as eaten by the locals then you really have no option but to sample one its food stalls. If your here on a guided tour then ask your guide for advice and let them lead you to the best Thai food. If your after a more traditional meal out but still want the authentic Thai, then there are countless restaurants that mainly cater for Thai’s and expats. These can be found all over the city and are generally located down the side soi’s and quieter roads. Prices are in the mid range and the standard of food will vary from venue to venue. Menu’s will generally be in Thai, you might luck out and find somewhere that also has English descriptions. Most restaurants will also offer picture menus which is a really fun way to decide what to in eat, just point and hope. Whatever you choose we are sure you won’t be disappointed. Bangkok also has a selection of truly world class Thai restaurants. Many of which are trying to add a modern twist to the more traditional Thai food. These fine dining restaurants are generally located in the more main street areas of the city or are affiliated with the larger luxury hotels. On of the most famous Thai restaurants in the world “The Blue Elephant” is located in the riverside area of the city. If your after the best fine dining experience then this is the restaurant for you. Prices in these establishments are on a par with the very best restaurants anywhere in the west, which makes them relatively expensive. If you looking for Thai food, then deciding where to eat in Bangkok offers you endless opportunities. 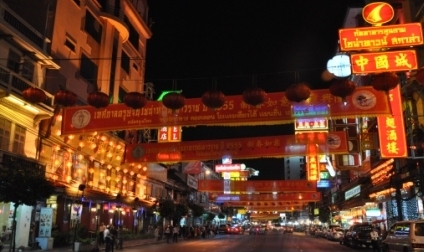 The Chinese have settled in Bangkok for hundreds of years so it’s no wonder that Bangkok’s Chinatown is one of the best in the world. Located in Yaowarat this is a must place to visit for any serious foodie deciding where to eat in Bangkok. Getting here is a little awkward due to it’s lack of BTS or MRT stations. The best way of reaching Chinatown is by river. Use the public river boats and disembark at Ratchawong Pier, from here Chinatown is only a small walk away. However difficult getting here may be, the wonderful food delights that await you are well worth the effort. The food in Chinatown is mainly Cantonese and southern Chinese cuisine. 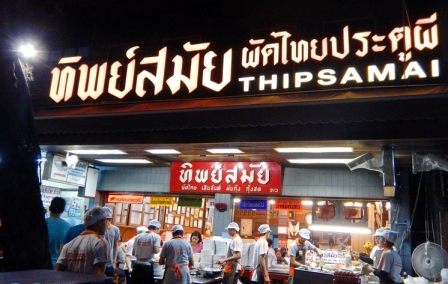 The restaurants along the main Yaowarat road are large and fairly expensive, and mainly cater for tourists. The food however is well worth the expense. If your on a more modest budget then head down the side Soi’s were you will find many smaller, independent eateries. The food in these smaller restaurants is just as good as the bigger restaurants but can be half the price. The only sacrifice is the opulent surroundings, but this shouldn’t bother any serious foodie. As well as the restaurants you will also find a large array of small food carts lining the street, we strongly suggest testing some of these stalls, where you can sample some great noodles and Dim Sum. During the day the area is a hustle and bustle of locals here to grab a some outstanding noodles or dim sum for lunch. At the night the area takes on whole new persona and comes to life with bright red and gold neon lights. Western food is fast becoming more popular with the Thai’s and western style restaurants can be found all over the city. If your visiting the city and deciding where to eat in Bangkok, then western food shouldn’t really be your focus. If however your are here longer and can’t resist a little home comforts then you can find food from all corners of the globe. Several years back nearly all of the western restaurants here were owned and operated by expats looking to supplement their income. These mom and pop style restaurants can be found all over the city and offer authentic home food from whatever country you choose. Nowadays more large restaurants have sprung up to cater to middle class Thai’s looking to broaden their culinary experience. A lot of the big hotels offer some of the best and expensive western food in the city. For those who want a taste of home on the go there are the usual western franchise restaurants all over the city, a few of these have even gone the extra step and added an Asian twist to there menu’s.